Is outdated technology hurting your professional reputation? 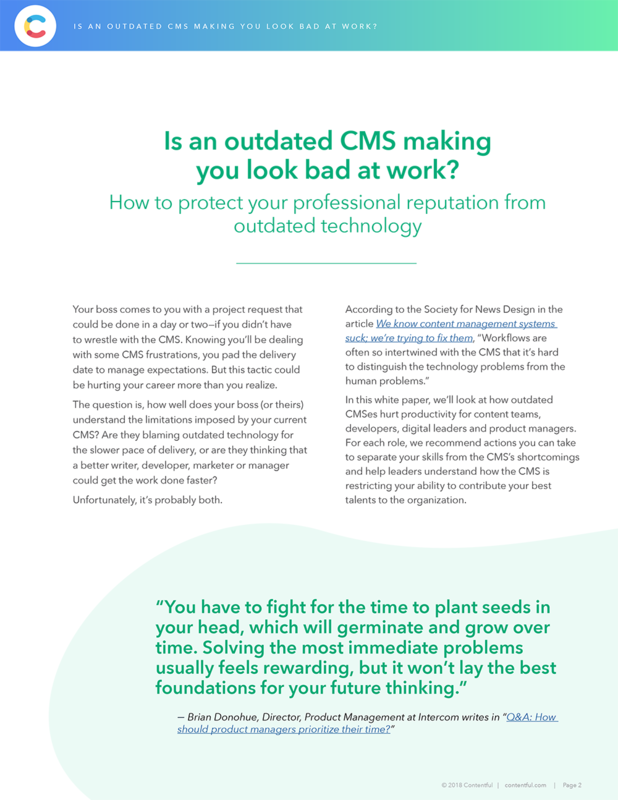 In this white paper, we’ll look at how outdated CMSes hurt productivity for content teams, developers, digital leaders and product managers. For each role, we recommend actions you can take to separate your skills from the CMS’s shortcomings and help leaders understand how the CMS is restricting your ability to contribute your best talents to the organization. "CMOs and CIOs should stop trying to figure out what content and marketing should change into and focus on giving content and marketing the ability to change."